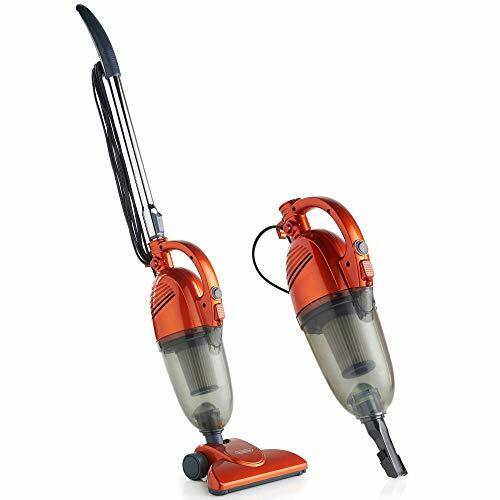 Designed with difficult spaces in mind, the VonHaus 2-in-1 Stick Vacuum 600W takes the hard work out of cleaning those areas which always seem just out of reach. Featuring a super lightweight construction and a low profile base, the Stick Vacuum makes cleaning these areas an absolute breeze - you'll never fear taking on another tough spot again! The Stick Vacuum is ideal for those hard to reach areas such as stairs, under the bed and around furniture. Simply detach the extension tube with the swift push of a button and you have yourself a compact handheld vacuum which will allow you to tackle previously troublesome areas with ease. Thanks to its 1.3L tank, the VonHaus Stick Vacuum lets you vacuum for longer without the need to frequently empty. 6m quick release power cord provides easy access to all areas.